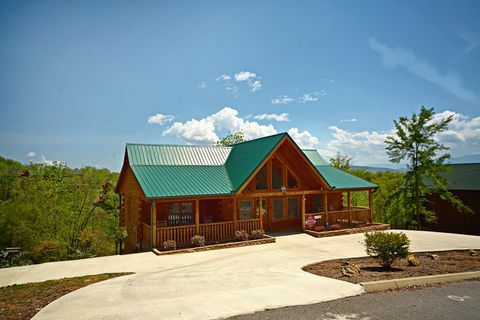 "Southern Style," a 5-Star cabin near Pigeon Forge with an elegant interior, comfortably sleeps up to 7 guests and provides a welcoming lodging for your Smoky Mountain vacation. 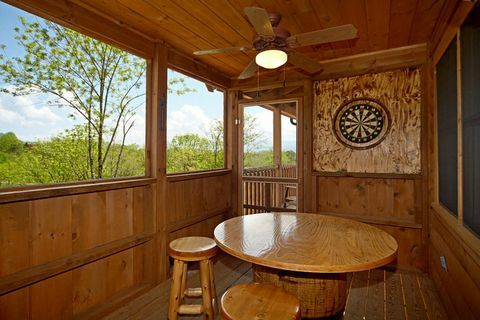 Bring your family to this 2-bedroom vacation rental in The Oaks Resort with all the amenities of home and more and start your memorable vacation in the foothills of the Tennessee Smokies. 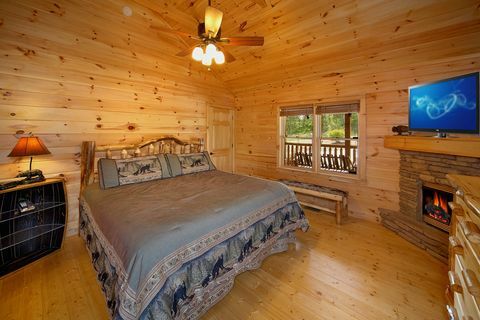 There’s plenty of space to enjoy the sights, sounds, and smells of the Smokies at your cabin. 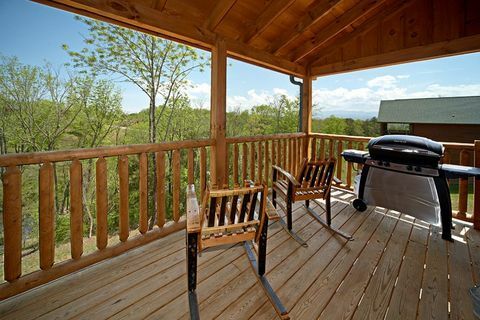 Step out onto your Sevierville cabin rental's back porch for gorgeous views of the Smoky Mountains area. 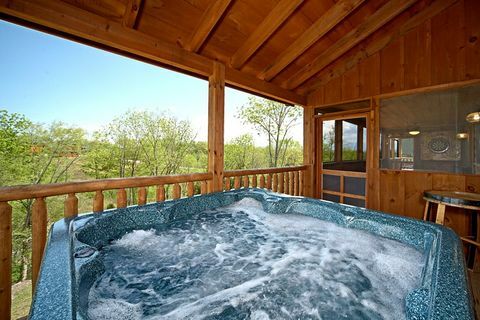 Relax in your year-round hot tub after day's adventures throughout Pigeon Forge and unwind in its warm waters. 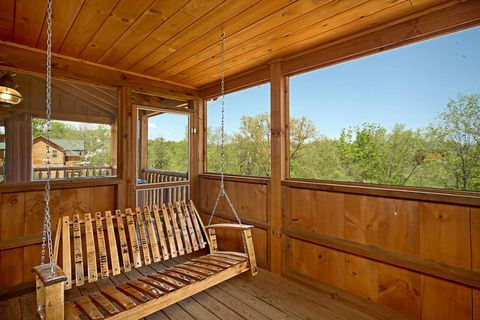 The cabin's screened-in porch area lets families take advantage of the great outdoors without nature's little pests and provides the perfect space to play some card games at the bistro table while dinner cooks on the nearby charcoal grill. 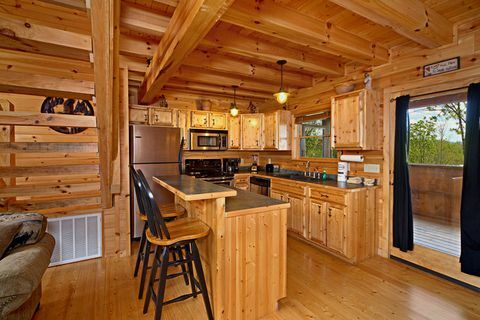 Back inside, there’s plenty of space to enjoy mountain living. 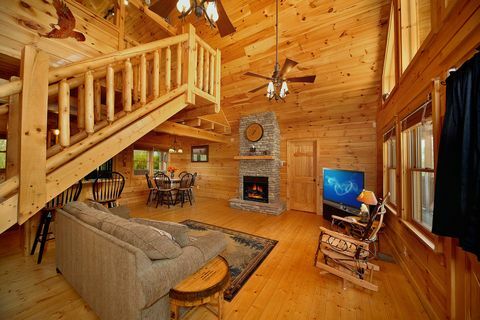 In the winter time, gather round and watch television while relaxing in the warmth and glow of your cabin's gas log fireplace. 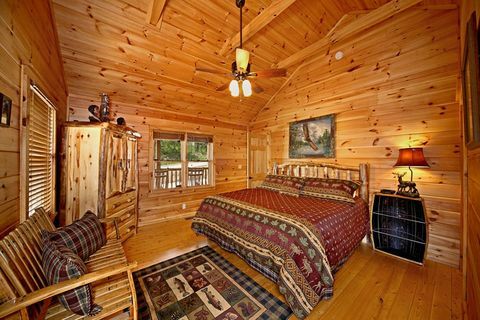 Your 5-star cabin near Pigeon Forge features 2 king suites with king-size beds, televisions, and private full baths. 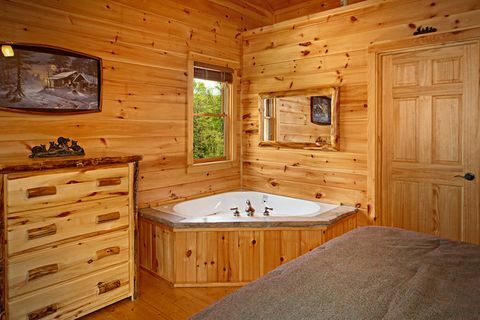 One of the king suite's offers a master suite with gas log fireplace and in-room jacuzzi tub. 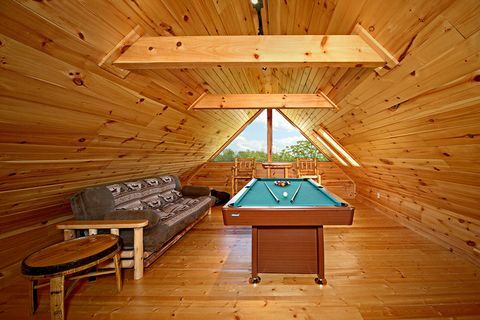 A sleeper sofa is located in the living area and an oversized futon in the cabin loft for additional sleeping space. 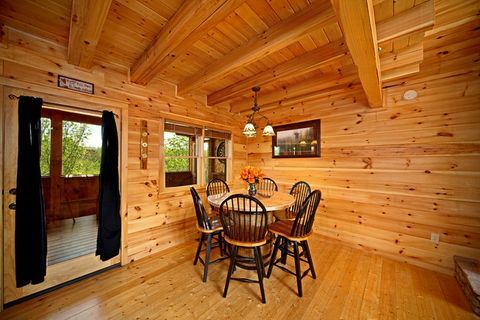 While several Pigeon Forge and Sevierville restaurants can be found nearby, your cabin's kitchen with a breakfast bar and plenty of counter space provides a perfect space to enjoy a delicious meal in this cabin's cozy dining area. After dinner, join family members in some challenging fun games of pool in the lofted game room. In addition to a great interior, your cabin in The Oaks Resort allows family members fast easy convenience to areas most popular attractions, shows, and outlet shopping. Feel the excitement of a cabin vacation in the Tennessee Smoky Mountains when you stay at this 5-star cabin near Pigeon Forge and get immediate Cabin Discount Savings when booking online with Cabins USA!